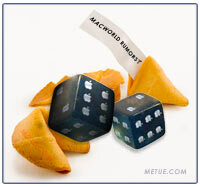 Macworld has been going on since 1985, the same year Steve Jobs resigned from Apple. Since 1997, the year he came back, Apple has used the show as a springboard to introduce new products and as a pulpit for Steve to evangelize. In 1998, Jobs took to the stage to introduce the iMac. In 2001, he enthusiastically showed iTunes and Apple’s first widescreen notebook. In 2005, it was the Mac Mini and the iPod Shuffle. Two years ago, in 2007, the iPhone took the spotlight. Last year, it was the Macbook Air. Tomorrow, a new page will turn. It will be Apple’s last year at the event (Apple announced they were pulling out of Macworld in December) and Steve Jobs won’t be giving the keynote. Marketing exec. Phil Schiller will do it instead. No one’s sure what the changes mean. Will Apple quietly part ways with the independently run Macworld show? Or will the company say goodbye blazing with a surprise announcement of something new and unexpected? 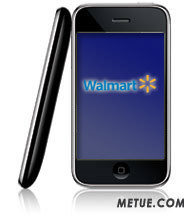 As a retail brand, Walmart is as ubiquitous as any. The chain’s stores have been the subject of movies, protests and debates, praise and condemnation. You’d have to live under a rock to never have heard of them. The same is becoming true for Apple’s iPhone. As a retail product, the industry-changing cell phone is well on its way to achieving a superstar level of awareness. Now, the two will be available together. In June of 2007, private equity firm Elevation Partners announced they were committing $325 million and several experts, including iPod guru Jon Rubinstein, to turn Palm’s floundering ship around. 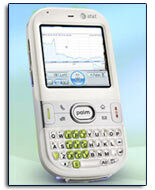 Palm’s CEO Ed Colligan predicted it would take about 18 months to chart the course. Time’s about up. It’s now been a year and half. 18 months, and many bad earnings cycles (including consecutive losses), have passed and the company’s inching up on the release of a new smartphone platform (dubbed “Nova”). With losses mounting, it’s an all or nothing gamble. A big move to redefine the brand and reclaim prominence. Some question whether, in a down market, it will be enough even if Palm scores perfect. Some of the same wonder if it is too little too late to save the brand and restore the company. Palm’s biggest private investors aren’t among them. Today, Elevation Partners committed another $100m. Elevation’s one hundred million will buy them voting rights equal to about 11%. Combined with their prior purchase, it will give the private equity firm 38% of Palm’s outstanding vote (on a converted basis). Hack Watch: iPhone 3G Unlocked? BD+ Secured? With Digital Rights Management (DRM) there’s a constant cat and mouse game at play. Companies spend money to restrict their product’s use, hackers spend time trying to set it free. Recently, in two different battles from the same war – both sides scored victories. 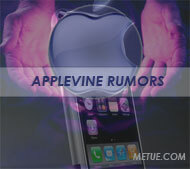 For the hackers, a group called the iPhone Dev-Team is reporting they’ve unlocked the iPhone 3G. For the content industry, the Blu Ray DRM standard BD+ has taken back some ground. In March, venture firm Kleiner Perkins allocated up to $100m for an iPhone related investment initiative and provided an online form to allow open submissions from prospective entrepreneurs. Thanks to an error, some of these entries were recently exposed to the public. The mistake opened a brief but unintended window into the kinds of proposals that have been submitted. 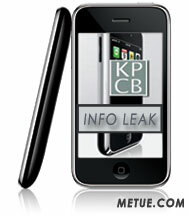 The cause of the leak was apparently KPCB’s former web hosting company Meteora Technologies Group. At some point in time, an employee accidentally posted a SQL file to the web that contained 588 proposals submitted through KPCB’s online iFund submission form. According to Tech Crunch, which first got the story, Mac developer Fruxx discovered the error and alerted Kleiner Perkins. The file was removed but not before Google’s ever efficient spiders indexed the page and copied a portion of it into their storage cache. In 2007, News Corp paid $188m to buy 51% of VeriSign’s mobile content provider Jamba (aka Jamster in the U.S.). Today, News Corp paid another $200m to acquire the rest. VeriSign originally bought the mobile games and ringtone vendor in 2004 for about $273m. The company was founded in Berlin in 2000. 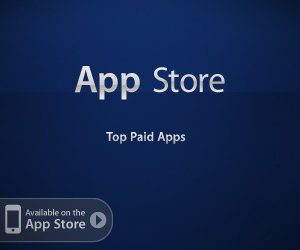 Ringtones, and phone wallpaper are among its leading products. Games and video excerpts are also offered. Jamba has been operating in the US and China since 2005 but also maintain a presence in Australia, Germany, Ireland, New Zealand and the UK.